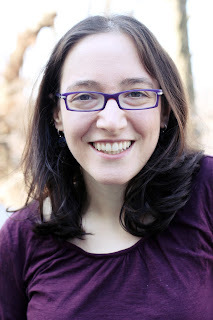 Today, we welcome young adult author, Sara Polsky, whose debut novel, This Is How I Find Her, recently came out to the reading world! Sara is a writer and editor at Curbed NY, and her articles and essays have appeared in The Christian Science Monitor, The Forward, Poets & Writers, and other publications. She lives in New York City. We're talking to Sara today about her book, which deals with bipolar disorder and the theme of finding yourself, as well as life as a debut novelist! Stay tuned for the end of the interview and fill out the Rafflecopter form for your chance to win a book! WOW: Welcome to the Muffin, Sara, and congratulations on your debut YA novel coming out this month! How are you feeling about everything right now? WOW: We are excited for you! Tell us about your novel, This is How I Find Her. Sara: This Is How I Find Her is the story of 16-year-old Sophie, who has spent much of her life caring for her mother, who has bipolar disorder. When Sophie's mother, Amy, attempts suicide and is hospitalized, Sophie moves in with some estranged relatives across town—and begins figuring out how to balance caring for her mother with living her own life. WOW: As you mentioned, the mother of the main character has a bipolar disorder. What kind of research did you have to do to write this character? How did you stop the mother from taking over the story and keeping this about the teen? Sara: I did a lot of research into bipolar disorder, reading everything from memoirs to slightly more technical books. There are a lot of bipolar disorder guides out there for patients and families, and I found those particularly helpful for getting the details right. I never really worried that Sophie's mother would take over the story. For me, the book was always about Sophie finding her way, understanding her family more clearly, and reconnecting with old friends. Her mother's suicide attempt is the catalyst for some of those things, but the story is all Sophie's. WOW: We met you through your agent, Suzie Townsend, who is judging our flash fiction contest. Can you tell us a little about the process that led you to Suzie? In other words, what was your agent journey like? WOW: It sounds like a great fit for both of you! What are you enjoying most about being a YA debut author? Sara: I love hearing from people who connect with the book. It's amazing to me every time someone tells me they care about these characters and this story that lived only in my head for such a long time. And seeing my book on the shelves in a bookstore, next to some of my own favorite books, is an incredible feeling. WOW: Awesome! What are you finding difficult? Sara: I don't really talk about the things I'm writing while I'm writing them, so it's hard to get used to talking about the book now that it's out! And then there's that flash of nervousness when someone says, "So, I read your book…" and I'm waiting to hear what they thought of it. WOW: Yes, it is your baby—that is now out in the world, and we want everyone to love our babies as much as we do! What's next for you? Sara: I'm working on another contemporary YA novel. WOW: Thanks, Sara. Don't forget to check out Sara's new book, This Is How I Find Her. If you want to connect with Sara, you can find her website here: http://www.sarapolsky.com. 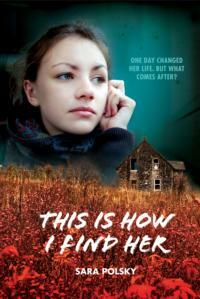 You can also WIN a copy of THIS IS HOW I FIND HER. See the Rafflecopter form below! Enter the Rafflecopter form below for a chance to win a copy of This is How I Find Her by Sara Polsky. Thanks for the great interview, Margo and Sara! I'm always interested in hearing about how other writers tackle the research process for novels. I wish you continued success in your publishing and writing endeavors and I'll put this book on my wish list! This really sounds like a terrific read. Thanks for the interview and the chance to win. Great to see a YA addressing this. There aren't too many YA books I've come across that deal with parents' mental illness. It makes finding your own identity that much harder. Congratulations on your debut. Is there anything you wish now that you had done differently with the book? After my first book was released, I realized there was something I would change. I didn't know if others felt the same. Overall, I'm happy with where I left the characters. But there are certainly aspects of novel writing, like setting and plot, that I'm very much still working on and trying to improve. Thanks for an interesting interview. Congratulations on your book, Sara. I love how although you have written the mother as being bi-polar which really explains her behavior, you also made sure that the story did not completely focus on her. Thank-You for the interview. Hope to have a chance to read.